Dr. Bregman’s energized, thought-provoking style inspires audiences and readers nationally and internationally. 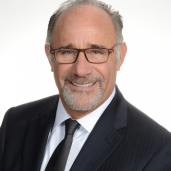 Dentists, dental team members, and the general public alike will benefit from Dr. Bregman’s more than thirty years of experience leading a highly successful dental practice, and his years of experience as an effective speaker, author, teacher, and trainer. Dr. Bregman will help you determine and prioritize the leadership, clinical, and practice goals you want to attain. Discover your untapped potential and effectively enhance patient care, organizational effectiveness and profitability. 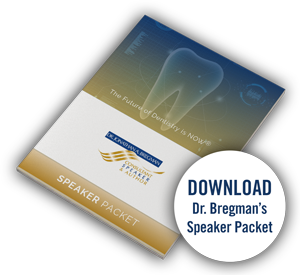 If you are a meeting planner, we invite you to download a comprehensive PDF of Dr. Bregman’s speaker packet to get started. It contains all of the information about his courses and contact information.